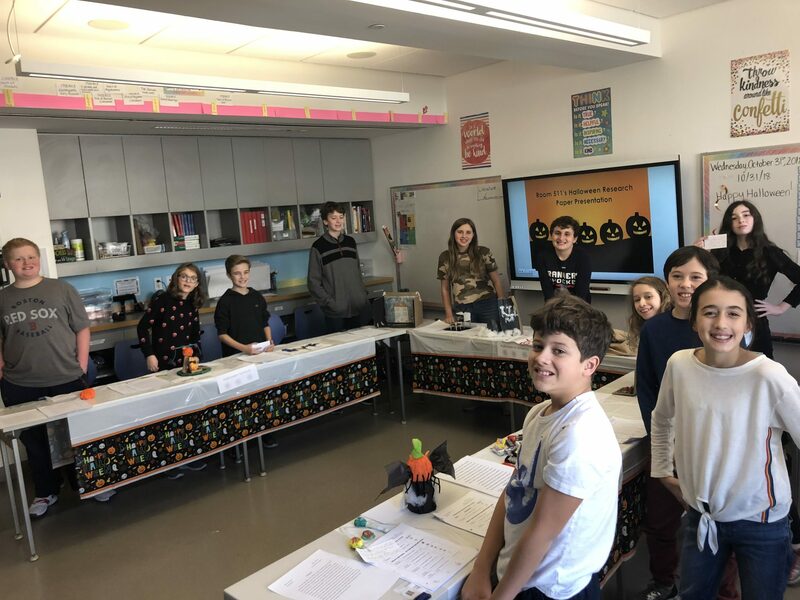 This week, Ms. Rubin and Ms. Goldman’s Green Cluster class presented their Halloween research papers to teachers and administrators. Over the past two weeks, the students have been independently researching, annotating, note-taking, and drafting research papers all about Halloween for their homework each night. Students practiced student advocacy, built executive functioning skills, utilized writing strategies, and practiced public speaking techniques throughout this multi-step assignment. Each student created a visual representation once their research papers were completed, using organization and task-initiation strategies to create their projects.